To meet the exact requirements of the patrons, we are manufacturing and supplying a qualitative range of high grade Split Type Casing Centrifugal Pump. We have designed & developed the offered range of centrifugal pumps is manufactured using high grade raw material and components that are procured the most trusted vendors of the market. These centrifugal pumps are highly known for their high pumping capacity, durability and robust design. Being perfectly shaped and swift movement of our organization, we are instrumental in offering Double Bearing Pump. Offered bearing pump is developed by employing sophisticated technology using best in class material by our professionals. Our bearing pump is offered in several specifications, as per the variegated needs of our customers. We are providing this bearing pump in a given time frame at reasonable rates. To meet the diversified requirements of our prestigious clients, we are engaged in offering Oil Seal Double Bearing Pump. 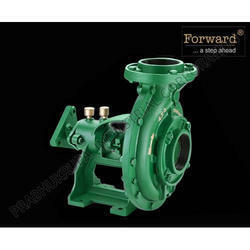 This bearing pump is acclaimed in the market owing to its superior performance. Our bearing pump is developed using high grade material and latest technology. We are giving this bearing pump in different models to suit ever-evolving needs of our patrons. Also, this bearing pump is inspected by our quality experts on well-defined parameters so as to deliver a flawlessness range. We have gained recognition as an eminent enterprise, devotedly engaged in offering Centrifugal Slurry Pump. 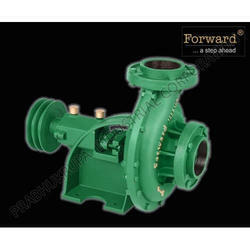 These slurry pumps are manufactured by finest components in compliance with the set norms. We offer these slurry pumps in several specifications, as per the needs of our customers. Also, our offered slurry pumps can be purchased from us at industry leading price in a given time frame to customers. Owing to our extensive years of industry experience and profound market understanding, we are providing Split Casing Pump. The offered pump is well known among customers for its high performance and long operational life. In addition, our pump is offered in different specifications and can be customized, as per the needs of our customers. 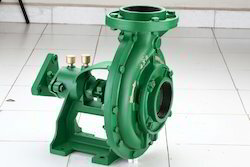 This pump is manufactured from the excellent quality of material along with modern techniques. To stay ahead of our competitors, we are engaged in offering our clients a remarkable range of Split Casing Type Pump. Known for their features like high performance, low maintenance and high tensile strength, the casting types offered by us are manufactured in tandem with the industry set norms and guidelines. Further, these casting types are closely tested on various parameters, before final dispatch to the customers' premises.